Do you know what carbon offsetting is? Offsetting is the action of neutralizing the amount of CO2 emissions (Carbon Footprint) emitted by a person, company or organization when doing an activity*, by economically investing in a project to improve the environment and the social surroundings where it is developed. Clean CO2 is Lavola’s carbon management and offsetting brand that allows an effective reduction of greenhouse gas emissions. 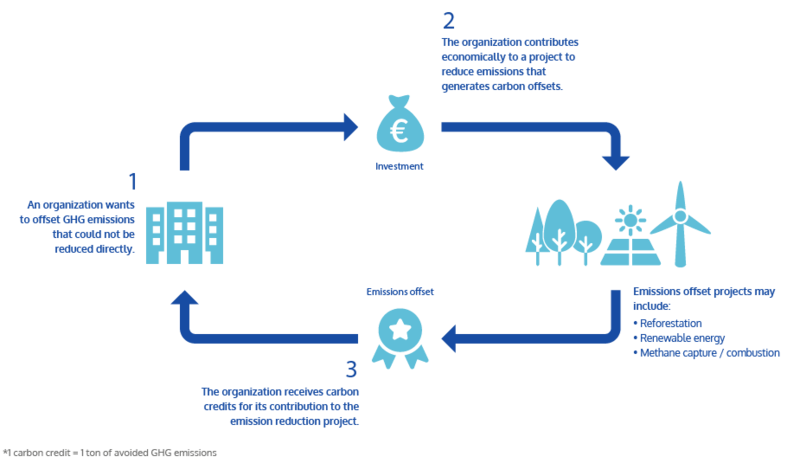 How does emissions offsetting work? How does Clean CO2 help you? It accompanies you throughout the process of neutralizing your activity’s greenhouse gas emissions, allowing your activity to be carbon neutral by investing in projects to reduce emissions (energy efficiency, renewable energies, CO2 sinks, etc.). Clean CO2allows an organization to show its commitment to sustainability and the fight against climate change, obtaining differentiation and innovation and improving its reputational positioning. 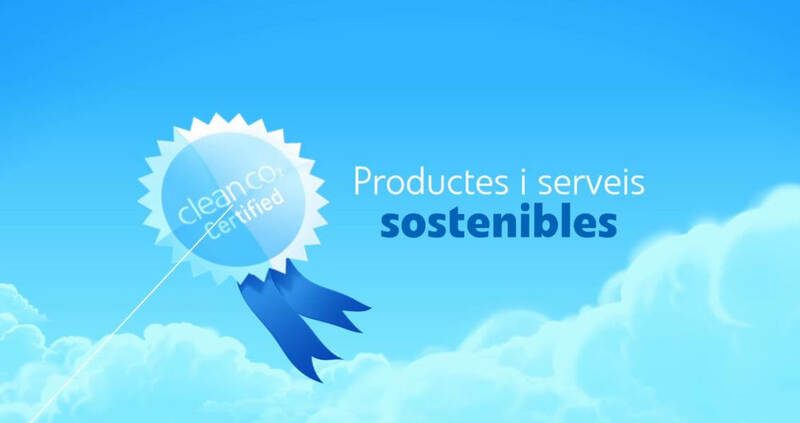 The exclusive certificate and seal of Clean CO2 are the communicative elements that enable showing the acquired commitment. The Clean CO2 certificate is the emblem that shows that an organization, event or activity is carbon neutral. 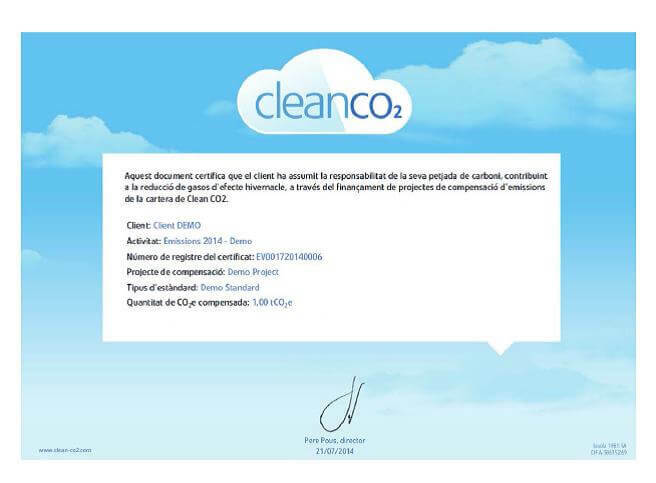 The Clean CO2 Certified Seal gives access to a personalized APP for each client with information on the scope of the calculation and the offsetting of emissions.